Food trucks are a new trend in fast food and can even be a source of culinary innovation. Trucks serving everything from tacos and sushi to sandwiches and even poutine have been permeating large cities in recent years, and Rochester is no exception. To Elizabeth Clapp, owner of Le Petit Poutine food trucks are all about "hanging out, having a beer, talking about life and having hands too full to have a phone in." According to Huffington Post, the food trucks of today surfaced sometime in the early 2000s around the beginning of the economic recession as a still-quick alternative to fast foods like McDonalds or Burger King.  Their popularity only continued to rise as the quality of food improved. Social media has also contributed to the success of the food truck. Owners often rely on various platforms to draw in customers every day by setting up shop and posting about it on Twitter, Instagram or Facebook and waiting for people to flock to them. 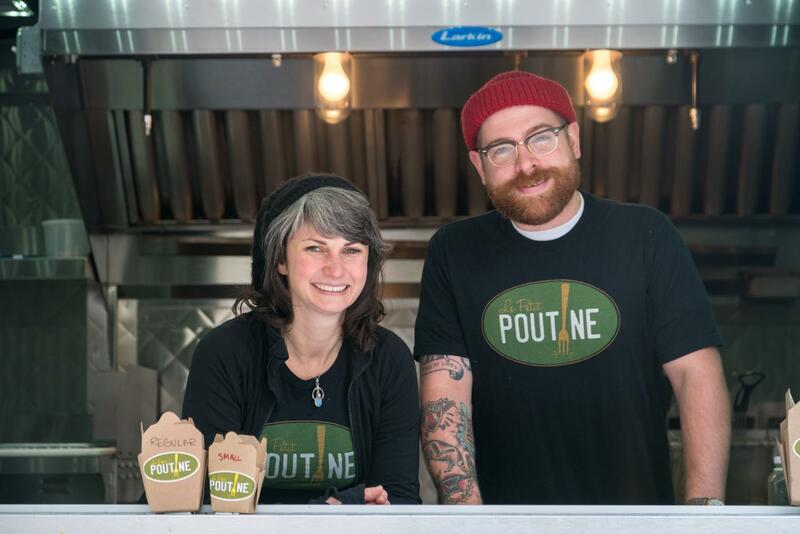 While the food truck trend began in the early 2000s, it only popped up in Rochester about five years ago in 2011 with Rochester’s first food truck, Le Petit Poutine. When Le Petit Poutine was established, there were virtually no laws regarding food trucks’ health, safety or even permits, so Clapp and her business partner Veronica McClive took it upon themselves to create a way to regulate food trucks in order to succeed. “We started a group called the Rochester Food Truck Alliance (RFA), which is a business association to lobby for better food truck laws,” Clapp said. Clapp and McClive helped initiate RFA in late 2012, and the number of food trucks associated with the organization has since risen to 26. The association also lobbied for permanent food truck locations in the center of the city for food trucks to rotate through when they aren’t doing events. The city of Rochester did not allow food truck vendors to park and sell in the center of the city until June of this year, after months of city council debate. After paying a number of vendor and event solicitor fees, the new law allows two trucks at each of the 10 locations. Some of the locations include State St., Court St., East Ave. and Elm St., but the trucks sitting at each location change every day. The center of Rochester is important for food truck vendors because of the approximately 35,000 people who work in the area every day. Trucks park near businesses right at lunchtime to catch those who are busy and looking for something convenient to eat. Besides the working class, college students are just about the best population for food trucks. Food trucks are growing in popularity at college events in Rochester, especially at RIT. Food trucks also cater to events in like the Food Truck Rodeo at the Public Market, which attracts people from all walks of life, including college students. "Obviously being able to go to our customers and to participate in these events on college campuses and the like is very fun," said Clapp. "We really get to be part of the party and we like to bring the poutine party with us wherever we go." "We like to bring the poutine party wherever we go." Rochester’s first food truck, Le Petit Poutine, was founded in 2011 by Clapp because she spent time in Ottowa, Canada growing up. Poutine is foreign to many Americans, even those here in Rochester, less than 100 miles from the Canadian border. “It’s kind of a trifecta of comfort food. It’s hot with gravy and cheese and fries and it’s a great base,” Clapp said. “But when we do specials it’s fun because we can throw anything on there.” Clapp has experimented with all kinds of cuisine, from cheeseburgers to vegetarian food — as she says, “Poutine is for everyone. 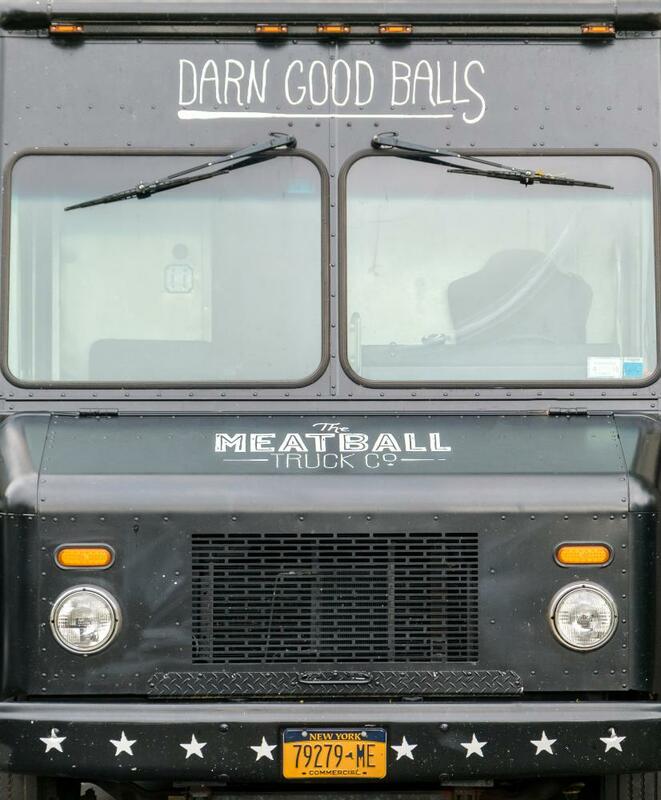 This food truck, which sports the slogan “Darn good balls,” was founded by Petrillo in 2014. This truck obviously offers meatballs, but also has subs and fries. It uses its catchy slogan and a few other ball puns to get people laughing. “It kinda gave the public something to laugh about ... Little kids could say ‘Darn good balls’ and not get in trouble because they’re talking about the meatballs,” said Petrillo. To find a food truck to indulge your cravings, Rochester has a website called Where that Food Truck to track them down via compiled lists of each truck's most recent tweet. Rochester now has over 26 options to satisfy anything you may have in mind. Check out these other tasty food trucks in the Rochester area: Effortlessly Healthy, Rob's Kabobs, Stingray Sushifusion, Roc City Sammich, Smokin Petes and Marty's. "But Now We’re Stressed Out"